Credit: NASA/PACE. Download this image (PNG, 483 KB). 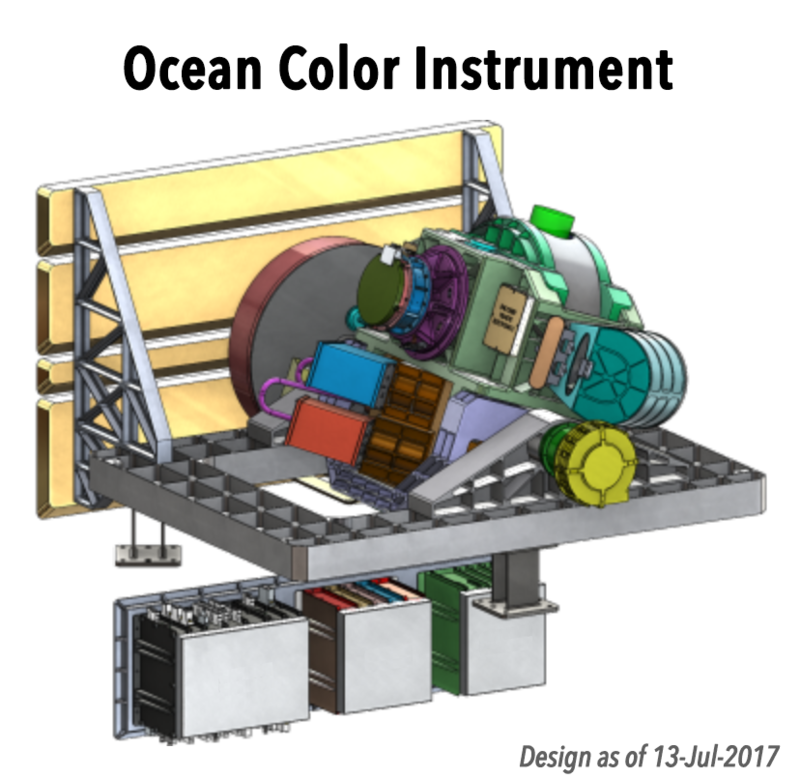 [31-July-17] An illustration of the Ocean Color Instrument (OCI). The OCI will be capable of taking ocean color measurements from ultraviolet to shortwave infrared, providing researchers with an unprecedented view of the ocean.